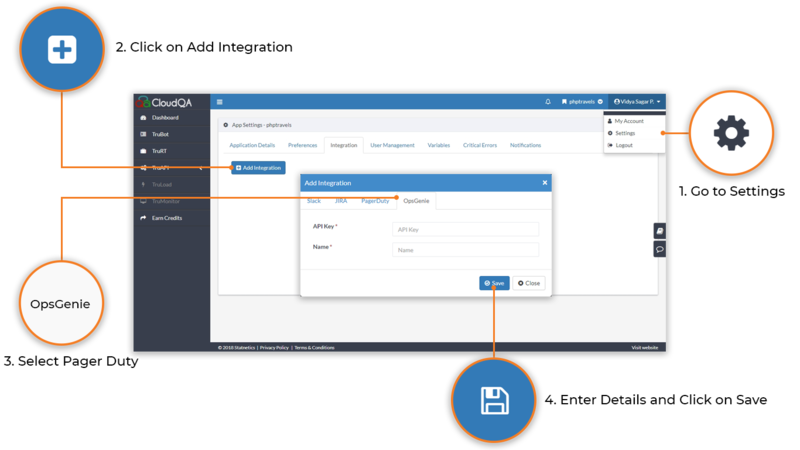 You&apos;ll need to log into your Opsgenie account, create an API in integration. 1. Navigate to Settings in CloudQA application, switch to Integrations tab. 3. Obtain the API key and API name as in Opsgenie account and save.